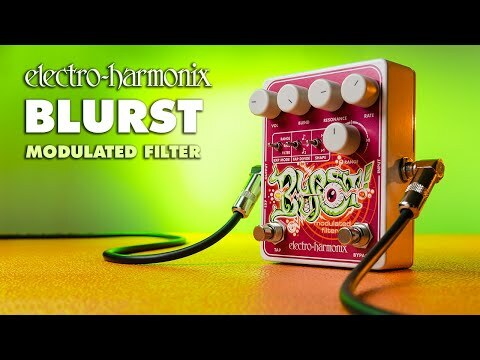 Electro-Harmonix have made it possible for guitarists to use technology normally found in keyboards and modular synths in their guitar sound with the new Blurst! Modulated filter pedal. Unlike most envelope filters that react to playing dynamic, the Blurst! is controlled by an internal oscillator. With a tap tempo to get into time with your songs and expression output to control the filter if you want a bit more control. If you’re feeling adventurous, or want to take your guitar sounds to a different level then you may want to put some of your effects into the blurst and get carried away!